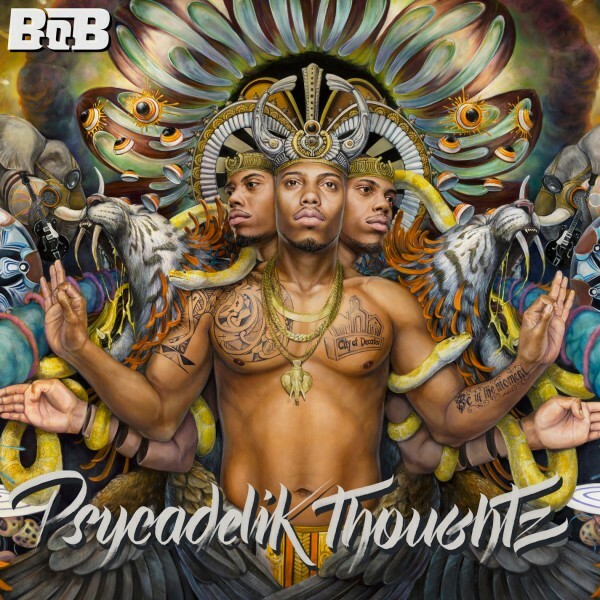 B.o.B In-Ear Headphones for only $20.00? 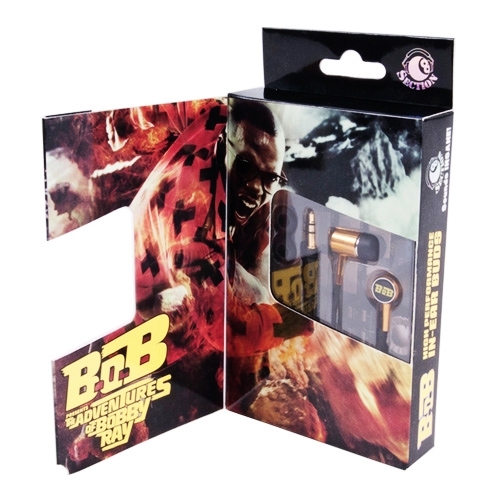 What better way to listen to The Adventures of Bobby Ray with these high performance in-ear headphones. 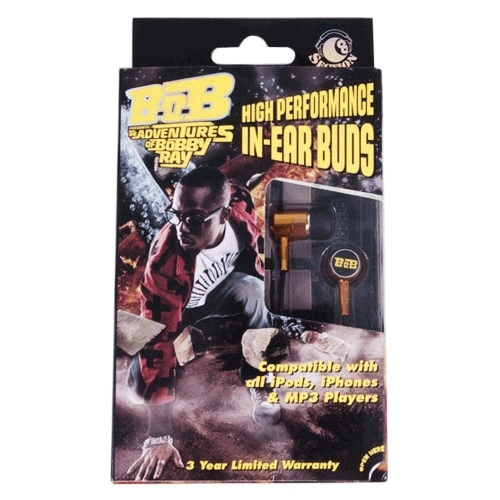 B.o.B ear buds are packaged in a custom box and include the B.o.B logo on each ear. Get 'em. Rock 'em. Roll with 'em. Ah. You know what we're talking about. Hope this info is good for you! If I had a review for the earbuds, I would get em. At least they aren't 300 dollars like the Dre Beats, which I heard sucked. Can i only buy them on internet? Wtf. I Was gunna buy these but it said the shipping and handling was 28$!!! 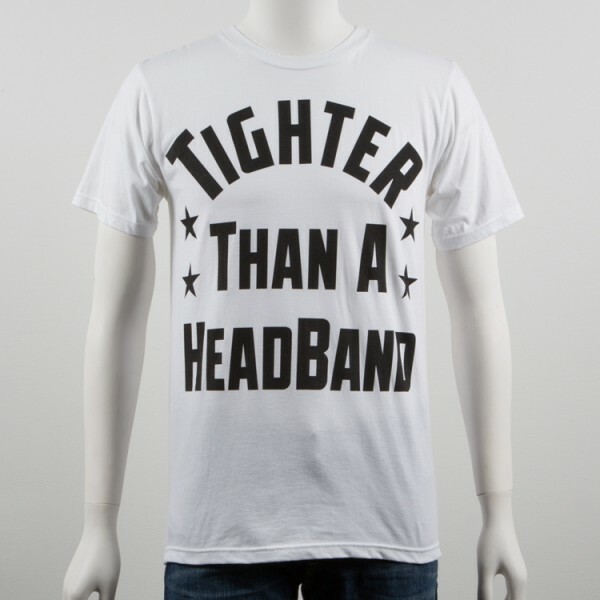 theres no way Im gunna buy a pair of headphones when the s&H is more than tha product.